Inbound marketing is all about drawing people to your business organically and then guiding them through the marketing funnel. This is exactly what we have done successfully with Fauske & Associates, LLC. Revenue River started working with them in February of 2017, and have been able to help them build and implement a digital marketing strategy to guide marketing actions moving forward. It was (and still is!) our goal to help them generate more clients from their website. Working with Fauske & Associates, LLC has been a fun campaign to work on due to the highly technical nature of their business and we are very proud of the results we have accomplished so far. Fauske & Associates, LLC (FAI) is a world leader in nuclear, industrial and chemical process safety for businesses, plants, government, and institutions of higher learning. FAI provides engineering, testing, design, and evaluation services to mitigate severe accidents and to promote and implement process safety. They embrace a 'safety first' culture across all employee segments which stresses the importance of safety in relation to productivity, quality, profit, and viability. In addition, they provide advanced training and research in physics, chemical engineering, mechanical engineering, electrical engineering, nuclear engineering, computer science and other fields. Before hiring Revenue River, Fauske & Associates, LLC wasn't happy with their website. They weren't converting much of their traffic, their design was outdated, and they wanted to make their website something they could be proud of. FAI was only converting about 1.1% of their traffic into leads. Due to changing customer trends, the conversion points that were in place weren't accessible. FAI's personas were not aware of all of the resources and expert-filled content that was available for them. Even more, they weren't optimized to be found on Google and other search engines. There was email marketing but no marketing automation. FAI had plenty of content that their personas would be interested in, but there was no automated system that allowed contacts to choose what content they would receive. Their site had many SEO errors with broken links and more. These errors needed to be adjusted to ensure that FAI's buyer personas could find as much relevant information as possible from search engines. 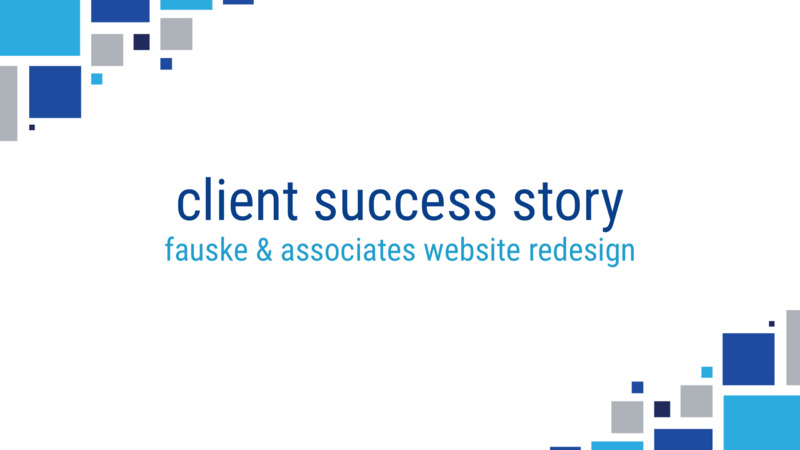 Fauske & Associates, LLC reached out to Revenue River for help making their website more effective. They're the experts in engineering processes and testing, but they didn't know how to make their website more effective. They wanted to retain the high-quality, expert-filled content while also making their website better integrated with their sales process. As such, they wanted to redesign their website, infuse more conversion points, increase the amount of traffic to their site, and nurture leads into sales qualified leads using the inbound marketing methodology. "Revenue River really get us. We're a very tricky business to understand, and they know how to reach new customers." We started by identifying FAI's personas. This was much more than asking what the job titles of their most common prospect. We determined where current content offers fell both within their current marketing funnel, and we matched each content offer to the specific persona it was for. FAI had a robust content library, but it wasn't segmented by persona. They were mass-posting a lot to LinkedIn Groups when they wrote a new blog but did not have a consistent posting schedule across their social platforms. One of the areas that Fauske & Associates, LLC wanted to focus on was to increase the number of new contacts, not just repeat customers. As such, we focused a lot of energy on optimization efforts to generate organic traffic. Their old website had many errors with broken links, missing alt-text, and other SEO issues. Revenue River tackled both onsite and blog optimization, link building, fixing site errors, adding alt text, as well as contributing more to blog efforts. A combination of all those efforts resulted in a 76% increase in blog views. All the hard work paid off! For the year prior to working with us, FAI was averaging about 37 new contacts per month from Organic Search. Since we took over their inbound campaign in February of 2017, we have been averaging 62 new contacts per month from organic, a 67% increase. We saw a noticeable lift in sessions from Organic Search as well. In the year prior to Revenue River taking over their inbound campaign, FAI averaged 2,768 sessions per month. The subsequent 14 months have averaged 3,632 new sessions per month from Organic, a 31% increase. 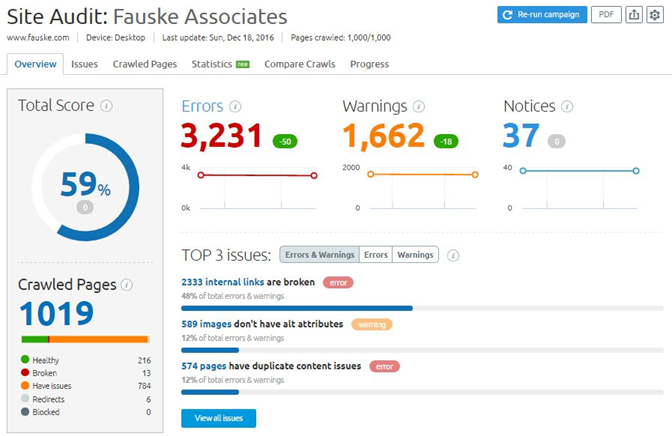 Part of the success from Fauske & Associates, LLC was thanks to the Growth Driven Website Analysis. This helped determine how users were currently consuming their website. 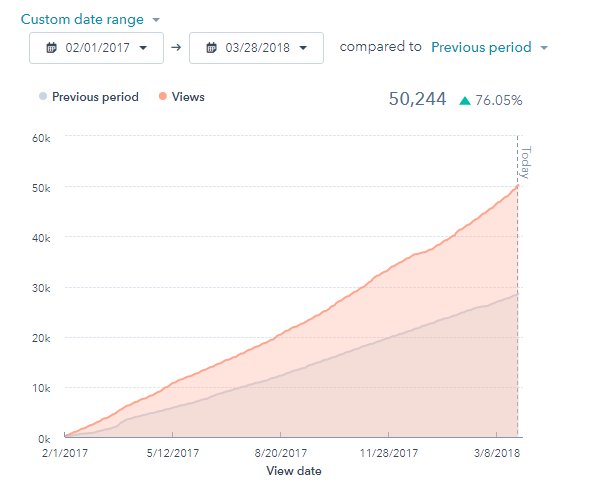 By performing this analysis, we were able to look for opportunities for improvement based on where people were clicking, where their mouse was hovering, and more on-site datapoints. This analysis uncovered strategic locations to incorporate more conversion points, giving contacts the ability to easily submit their information. We also discovered that we should migrate all FAI's content under one main "Resources" page to make accessing their expert-laden, engineering-focused content more accessible. Lastly, we also modernized the look and feel of their entire website. The result was a super slick, lead generating machine. Check out the final product here. We are exceptionally proud of it's design and what results we've seen from it. Below is FAI's homepage prior to working with Revenue River. There are no eye-catching conversion points above the fold, information was rather cluttered, and was promoting the non-conversion focused pages. The most successful conversion point has been their "Get a Quote" button located in their main header, which was added in June of 2017. Since it's addition, we've seen 275 submissions (54% from Organic Search) of which 210 were new contacts and 29 new customers. Even more, that specific CTA has a 48% clicks-to-submissions rate. That means that just about one of two people who click that CTA will end up submitting their info. "We'd been a HubSpot user for a few years. 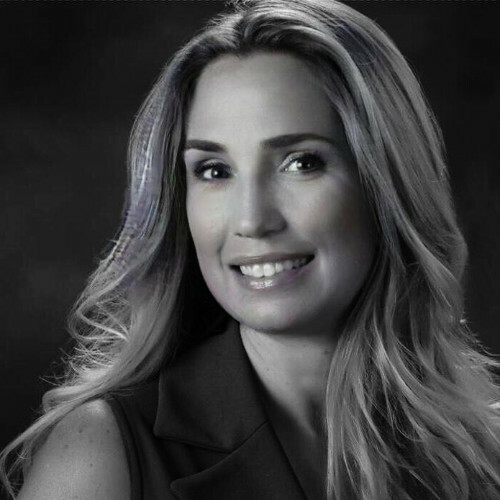 We brought in Revenue River to help us take full advantage of inbound marketing opportunities and we're just really happy." Prior to FAI working with Revenue River, they had never used marketing automation as part of their marketing efforts. We introduced them to the idea of nurturing workflows, as not only a way to save time, but as a way to help them do more than anyone marketer or salesperson can do. And we've seen some great return! We've seen the most success in a workflow that helps users decide what content they want to see. It's overall strategy was to help better segment the database by getting FAI's personas to self-identify. Upon their self-identification, they were then enrolled in nurturing sequences that would walk them through the buyer's journey using content they already declared to be interested in. After the initial content selection email was sent out, we then enrolled contacts into subsequent workflows that sent them information on the topic they chose. The series of emails guided them through the funnel and included top-of-the-funnel, middle-of-the-funnel, and then bottom-of-the-funnel content. Ultimately, we want these contacts to convert on a bottom-of-the-funnel conversion point to indicate they're ready to be contacted. For example, it's unlikely that a Chemical Engineer will be interested in content specific to nuclear engineering. 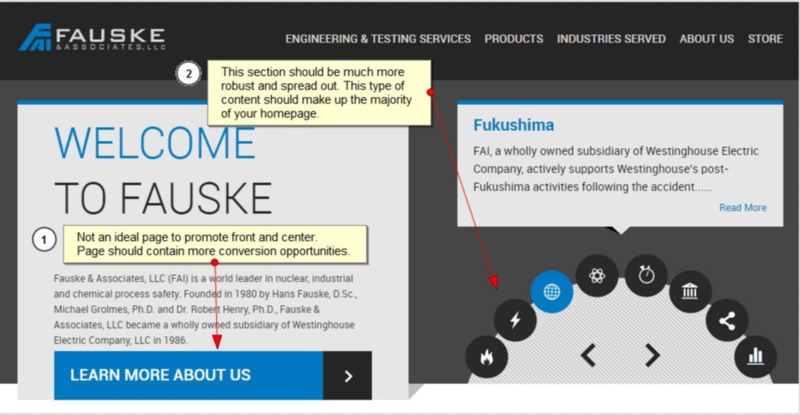 Instead, they're interested in blogs on chemical engineering practices and news, and if there is a new Combustible Dust test that needs to be performed in that engineer's facility, Fauske & Associates, LLC are top of mind. That's why the persona research and discovery process was so critical. Upon review of FAI's resources, we discovered that there wasn't an accurate description of what the user would receive from downloading the content offer. This prompted a redesign of their landing pages and the creation of new images for their content offers. This made them more modern, sleek, and informative. In addition, the CTAs they were using to direct people to their offers were scattered throughout their site. There was no centralized location to hold all of their resources for easy searchability and access. 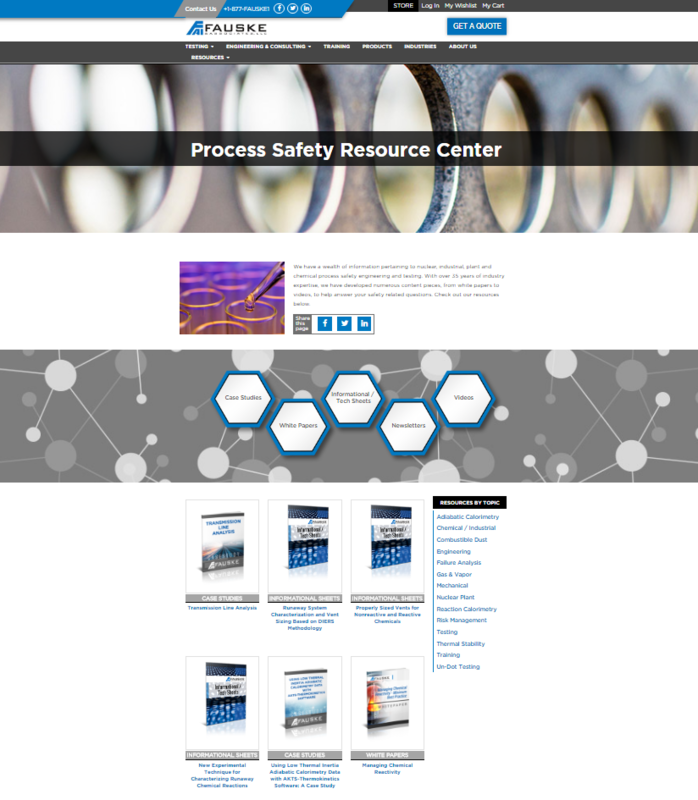 To solve this issue, Revenue River combined all of FAI's content under one roof in their newly designed "Process Safety Resource Center." Fauske & Associates, LLC had a clean database, however, there was no segmentation. The first order of business was to segment their contacts, in which one area was by personas that we identified at the beginning of the campaign. We were able to use information that we already knew about their contacts to start, and we also incorporated a form field where users could self-identify. This intelligence helped tremendously when it came to behavior-based, promotional based, and persona-based emails. FAI did a great job sending out a monthly technical bulletin and quarterly process safety newsletter. Revenue River came in and has been able to make a significant impact by sending emails specifically to FAI's different personas. We have seen really good success by improving from an average of 49 sessions per month to 283 sessions per month. That's a 478% increase. "As for results, we're looking at traffic, leads, and sales-qualified leads that are meeting or exceeding our goals. Our SQL are at about 140% of our targets so we're extremely happy." In all, we've seen great metrics from working with Fauske & Associates, LLC. We've been able to significantly increase site traffic from organic search, blog views, visits from email marketing, and overall contact generation. 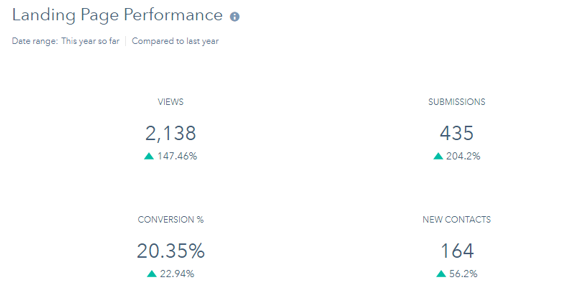 Here are the most meaningful metrics that we've seen since kicking off this campaign just over a year ago in February of 2017. Overall, all Revenue River's efforts have resulted in numerous successes which have contributed to Fauske & Associates, LLC's bottom line. We are very proud of what we have been able to accomplish so far within our campaign and are excited to continue to drive success through our partnership with FAI. AnnMarie talks about what drove campaign success.